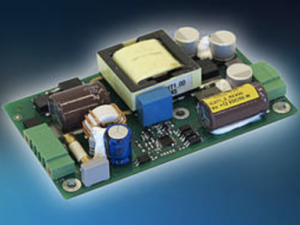 intreXis has expanded its range of high-performance DC-DC Converters with a new 75 W family, providing a single-output voltage of 15 V / 75 W, 24 V / 75 W and 12 V / 60 W.
The converters are designed according to EN 50155 and EN 45545 for railway applications and are ideal for other demanding environments which require the highest performance and reliability. Due to the ultra-wide input voltage range, that covers all nominal input voltages according to EN50155 (24 V, 36V, 48V, 72 V, 110 V), and to the outstanding power density, these converters are the ideal choice for new installations, as well as for maintenance of existing ones. intreXis is one of the world’s leading providers for Power Supplies used in high-capacity applications worldwide. Order a device for testing here! intreXis Power Supplies boasts a comprehensive portfolio of advanced Power Supplies for transportation and medical applications. 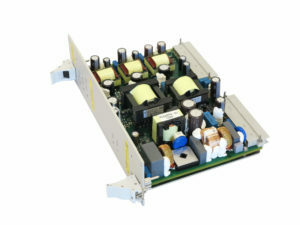 Ranging from 10W up to 1000W output power, intreXis Railway Power Supplies are widely used; from control and rail automation systems to video surveillance systems, communications systems, e-ticketing systems, and passenger information systems. Whats more, intreXis AG is one of the world’s leading providers for Power Supplies used in high-capacity applications worldwide. FOR ALL THE LATEST INFORMATION, NEWS, IMAGES, VIDEOS AND DOCUMENTS FROM INTREXIS PLEASE CLICK HERE.